Curious to see who does this and who doesn't. If you do, what do you write down? Do you think it helps you catch more carp? I fish for a lot of other species besides carp, so looking at my past fishing reports definitely helps. If I want to see when the bass were spawning last year in Lake XYZ, what bugs the trout are eating in April, etc. I always start strong and record the details of every trip, but within a few months I get lazy, and slack off. I've already stopped writing down details of my recent trips (way sooner than usual). So I'm curious to hear what systems you guys use. I keep a list on my blog. I like it. It helps me stay focused on catching numbers. Some people concentrate on size almost exclusively. My philosophy is different. I focus on numbers for two reasons: 1) I like catching something, even small carp, better than no carp at all, 2) If I catch enough numbers some of them will be larger sized. I think numbers also helps me focus on rigs, baits and techniques better. If it's few and far between, I find it difficult to know if a technique is or is not working. For me it's a confidence game. I like going to the lake with the knowledge that to stay on track with last year's results I need to catch 5 or 6 or 10 fish today. That's motivation. It keeps it interesting for me. 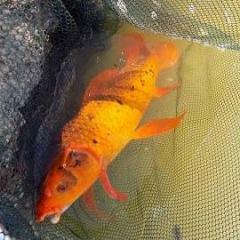 And last year I found it gratifying to know that I caught more than 140 carp. 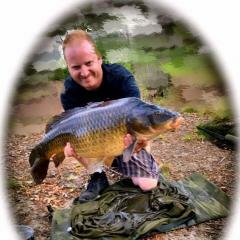 Catching 2 or 3 carp or even 5 or 6 per session doesn't seem like a lot until you add them all up for an entire year. You are a young man.... Be smart and start a fishing log/journal now. You will be very happy you did in 10-15 years from now. If nothing else, it helps you organize all your successes and failures over the years. This alone will make you a better angler. Eliminating bad places, conditions and times at certain times of the year and highlighting successful outings will allow you to develop a high percentage " milk run" of fishing opportunities. It removes the guesswork out of trying to remember when it was you did well the previous year. and the year before that. You can make it as simple as where? when? Time? Weather? Bait? Or you can get complex and include water temp, previous day weather. barometric pressure reading etc. You will not be sorry. Keep a journal. I have been maintaining a log/journal since 1994 when I started bass fishing. I now have 3 completed log books and working on #4. I refer to them often. I have bin keeping a fishing log starting 2001 although in those day mostly salt water and fly fishing log with tides, moon faze, weather, baits, fishing partners, Gps number and fish caught. my fresh water logs even have drawings of swims . I also keep a deer hunting log with drawings of maps and location's however I slaked off on that over the past 3 years. I do and have done so for many years. I usually include venue, precise location fished, weather conditions and any transitions, signs of fish activity and times thereof, times any fish were caught, their size and the bait used. Over a few years it helps you to get a feel for when and where you are likely to have success at different times of year and in certain weather conditions. It is particularly helpful to have those written records now that I am getting older and more forgetful! Now if we could combine all these logs into one big Master Copy. I kept detailed logs for several years. But nowadays I'm very laid back...just photos of friends/scenery/couple of fish...don't worry about other details except River level/flow if fishing a river. My photos get filed in folders on my PC...ie year/month/venue or event. I have a 'Book of Love' which is a small journal I began in 2002 to chart my fishing all over the world. I note the weight of all of my and my fishing buddy's fish and bait caught upon. I also sketch diagrams in there to show the mapped swim and anything I change as the session goes on that results in bigger/more fish. Don't keep one. I have found that conditions change and so do the fish's habits. Part of the fun is fooling a critter that has a brain the size of a bean.